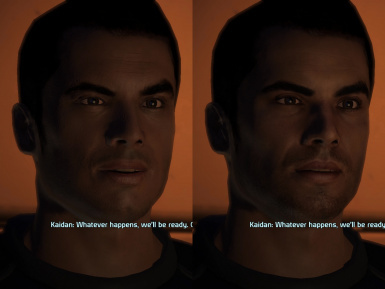 Some of my ME3 character complexion tweaks ported to ME1. 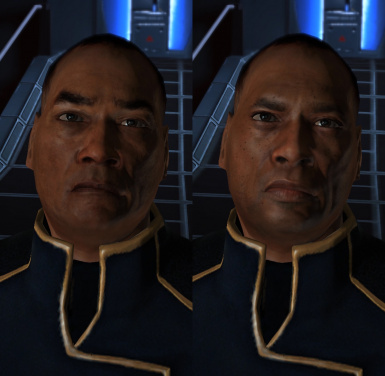 CD Projekt Red for texture assets from The Witcher 3. 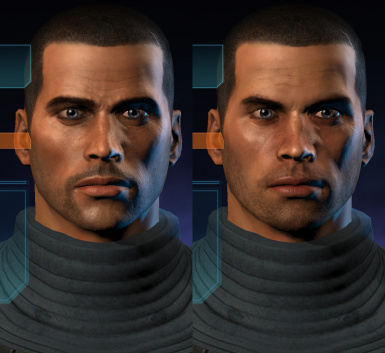 This is a port of some of my ME3 character complexion tweaks, so that those that use them can have continuity between the games. 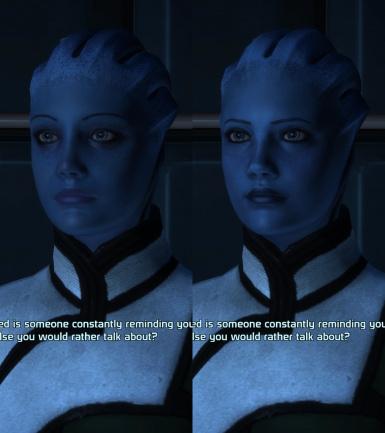 Anderson, Ashley, Liara, Kaidan, Joker and Sheploo are included at the moment. 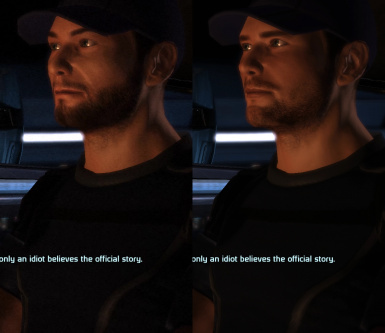 I highly recommend using MEM's Texture Manager to intall these. 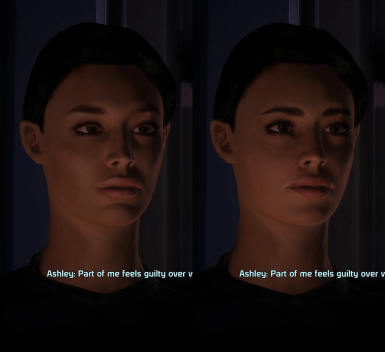 (or any ME1 texture mod) They should also work well with TexMod.